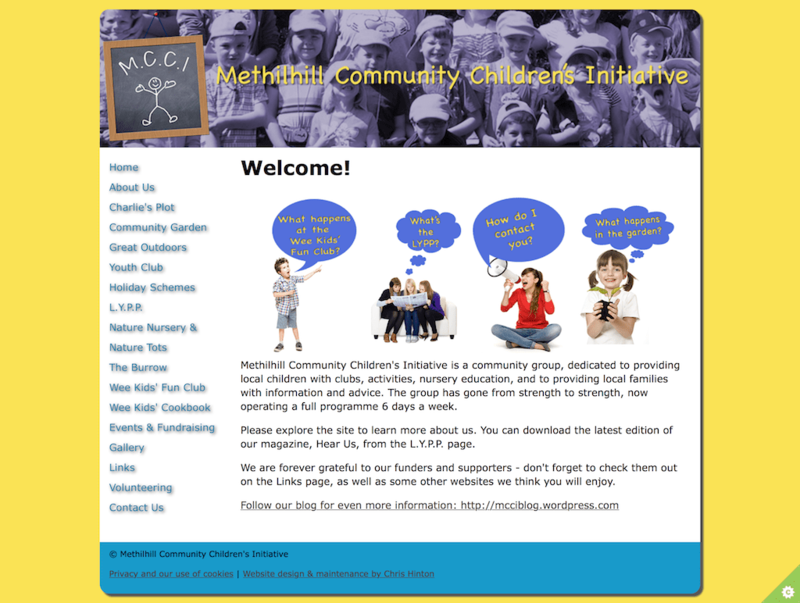 Methilhill Community Children’s Initiative is a locally-based project providing children’s clubs, a community garden, and other services for children in Methilhill. They required a bright, clear, and eye-catching website to tell people about the Initiative, as well as to provide information for potential funders. The website was developed as a static HTML platform, and updates were carried out by me to an agreed schedule and cost. More recent updates to the site include making it mobile responsive, and I have had discussions with some of the young people who are involved about how they can take their Internet presence forward by setting up a free WordPress blog. The site has been well received by the staff at the clubs, and the young people themselves. Please feel free to explore the site at http://www.mcci-clubs.co.uk.